Great group tempo and hill run last night. 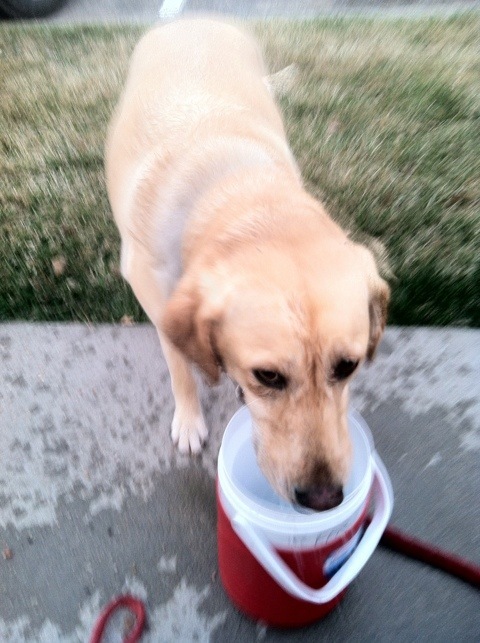 My ever faithful running companion, Heidi the wonder yellow lab, was along for the ride. The much warmer Spring than normal prompted a much greater water need. 6 miles in 65 degree weather was tougher on her than 31 miles in 30 degree weather two weeks ago. 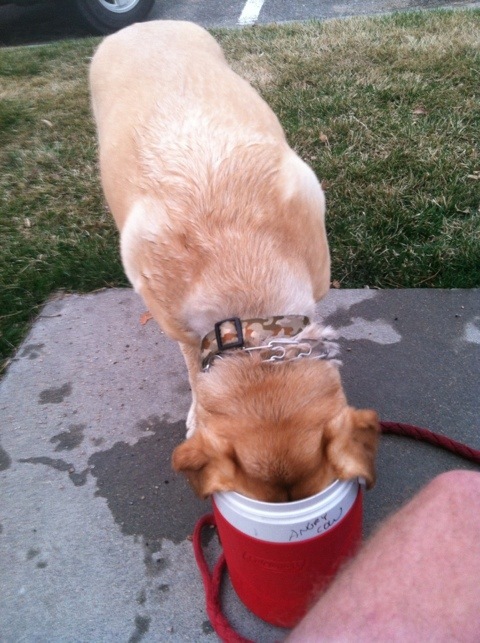 Keep the pups watered well and down! As the picture shows they’re not to picky on how to get it!